Wondering whether your Moto handset will be getting a slice of Android Pie? We now have the answer, as Motorola has revealed which phones will be getting the update. 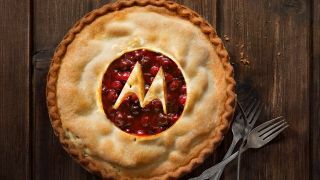 The company claims that the Moto Z3, Moto Z3 Play, Moto Z2 Force, Moto Z2 Play, Moto X4, Moto G6 Plus, Moto G6 and Moto G6 Play will all be getting updated to Android Pie. No exact timescale is given, but apparently the updates will start ‘this fall’, so some of the phones on that list will presumably get Android Pie in the next few months. None of the phones lined up for an update are surprising, but what is surprising are that certain others aren’t listed, especially the Moto E5 range, which launched this year, and the Moto G5 and Moto G5S ranges, which landed in 2017. It’s not clear whether this is the final list or whether other phones such as those ones might be updated at a later date, but Motorola never promised long-term support for these phones, so if you’re rocking one of Motorola’s lower end handsets or a G-range phone that’s not one of the latest models then at the very least it doesn’t sound like you’ll be getting Android 9 any time soon. Which is a shame, because Android Pie comes with lots of tasty updates. Owners of phones that will be getting Pie can look forward to a refined interface, potentially longer battery life and more.